With a cup of coffee, a muffin, and a game of Skip-Bo in front of her, Lena Zacharias swung the morning away last Thursday. 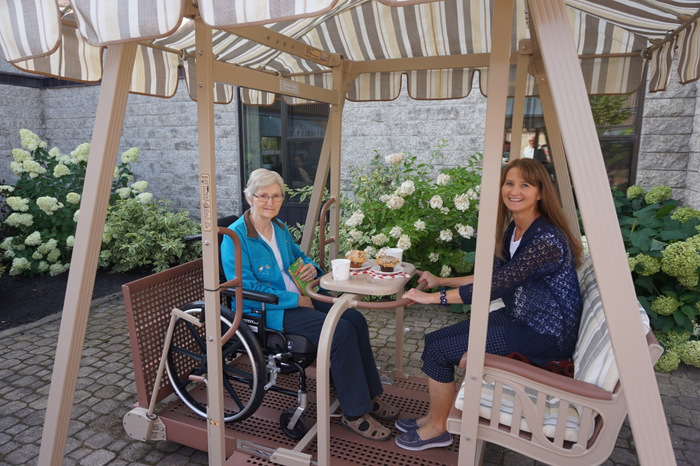 The Salem Home resident was joined by her daughter, Helen Friesen, on the personal care home’s new WhisperGLIDE wheelchair accessible swing. “It’s very fine,” Zacharias said in Low German, noting she finds the swing quite calming. The swing has indeed proven to be quite therapeutic for many residents, noted Marilyn Nelson, Salem’s director of resident care services. It’s a resource in high-demand. On some busy visitation days there’s a lineup of residents and loved ones waiting for their time on the swing. 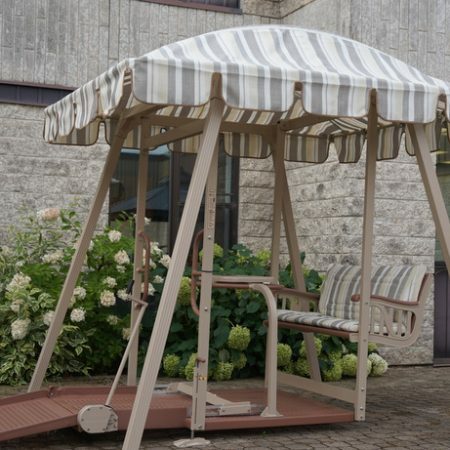 “That’s lovely … [it] makes us understand the need as to why we’d like to have more of these,” Nelson said, explaining they hope to raise funds to purchase three more of the $9,000 units to install on patios throughout the facility.